Flicker, flash, and flare your way from one clip to the next with TransFlare from Pixel Film Studios. With 70 professional light burst transitions for Final Cut Pro X, you can create endless vintage, hip, or edgy looks. Easily add beautiful light transitions to your footage by dropping one of TransFlare’s effects between two of your clip and adjust the user friendly controls. With TransFlare s huge library of light bursts along with its customization options, there are endless ways for you to flicker, flash, and flare your way from clip to clip. Choose from seven different types light bursts categories (including: color light leaks, lens flares, sun flares, and DJ light leaks). With TransFlare, you can create the perfect light burst transition for any footage! TransFlare contains no digitally generated images. All 70 of the light effects were professionally made by bouncing light inside a lens to give your footage the most realistic flares, leaks and bokeh possible. TransFlare was designed to work seamlessly inside Final Cut Pro X, eliminating the need to composite footage. Simply choose your light effect in the transitions window, and then calibrate the color and intensity of your light. You can also adjust the length of the transition in the timeline to best work with your scene. Where do I find TransFlare? 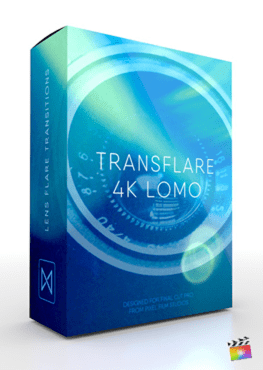 Once the installation is complete, you can find TransFlare in the FCPX Transition library.